Ready for change? You'll never believe how easy it can be. Mind Reprogramming is a method for reprogramming subconscious beliefs as well as transforming trauma, phobias, relationships and irritations, eliminating pain, improving relationships, and accepting and moving past grief and loss, increasing spirituality, growing your personal power, increasing health and wellness, eliminating stress and anxiety creating more time, more money, more freedom, huge business success and understanding yourself like you never have before. This method will help you make the best choices in your life because you will be aligned with your greatest purpose. Once your mind is reprogrammed you don't have to go home repeating affirmations or trying harder, you just get to be YOU. You without limiting beliefs. You without restrictions. The authentic, wonderful, marvelous, successful, beautiful, wonderful YOU. What you want to accomplish will come to you almost automatically because your subconscious is working 95-99% of the time to create that new reality. Your current beliefs run in your subconscious. These beliefs control your life. When you are not consciously making a choice, your subconscious is running the programmed choice. Do you know what beliefs you are running? Or more accurately stated, what beliefs are running you? If you don't like how your life looks today, it's easy to change it. All you have to do is change your programming. If you listen to yourself speak you can hear many of your limiting beliefs. “I never…, I can’t…I hate…I’m mad…How could they…I’m nervous/anxious...I'll never get over...I can't forgive...I'm unhappy...I'm in pain...Why would they...I can't decide, I'm so confused, I never have enough money, I can't find true love, etc”. So many of these beliefs don’t serve you. They can even derail you. Think about your life now. If you could change anything in your life, what would you change? This process takes these desired changes and helps you to reprogram them into your subconscious mind, literally rewriting the code that runs your system in a quick, easy and painless way so you can create more time, more money, more freedom, more happiness and a life of ultimate success. Our clients have found simple, powerful, quick, permanent and effective results with our process. We are told frequently that they can't believe how easy this was and wish they would have tried it sooner. Are you ready to live your best life? We'd love to support you in that process! Tap into the power of your mind and it will take you anywhere you want to go. Schedule your free consult with us today. Select Balanced You Intro Session Call on our menu. 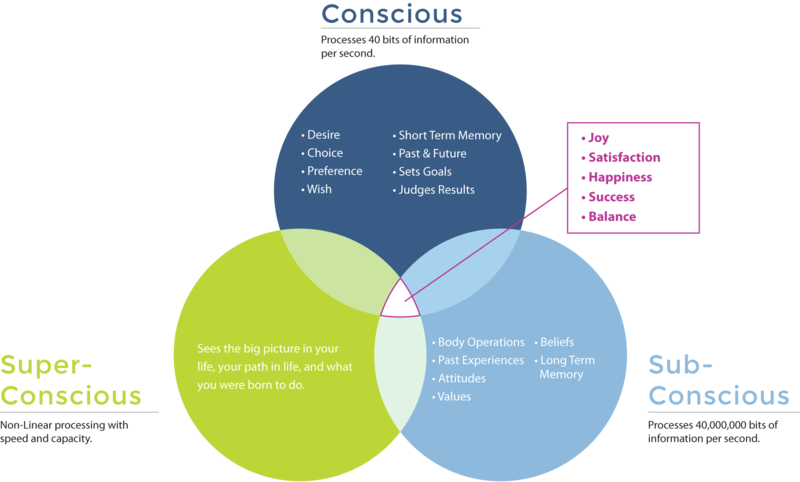 Through whole brain integrations and other balance processes, we transform your subconscious programming to align with your conscious goals. A balanced system feels joy, satisfaction, happiness, success, and much more. Living your life from this frame of mind instead of old patterns that work against you is freeing. After using Mind Reprogramming for myself, I went from a life of pain, frustration and trying so hard to a life of joy, peace, calm and happy just being. My life is 100% opposite of what it used. I have no more real struggles. Nothing really gets to me. My life is a blessing. I'm so grateful to have found this process. Most of the programming in your subconscious was downloaded by watching, listening, hearing, seeing, smelling etc when you were young, mostly before 7 years old. For example, let’s say you are two years old in the backyard with your mom and she sees a snake. She screams and grabs your arm and drags you into the house doing her best to save your life from a most likely harmless snake. That event gave you a program in your subconscious for snakes. On the other hand, let’s say that same snake slithers into the neighbor’s yard and that mom gasps with delight calling the children to come see this beautiful creature. She excitedly tells the kids about the snake and they touch it and learn about it. Those kids run a totally different “snake” program and response then the neighbor kids. Want a different "snake" program? With this method we can make that change quickly and easily. Every event that goes on starting in utero and some believe before gives us these programs. Whatever you conscious mind is not focused on is being run by these programs. Imagine your dismay when you try and try and try to change or accomplish a goal and it just seems that no matter how hard you try you can’t make it happen. It’s not that you are not capable. It’s just there is something getting in the way and you don’t know what. Or maybe you do know what but can’t seem to overcome it. Our subconscious is literally 1 million times more powerful than our conscious. That is an unfair battle! One that leaves most of us feeling frustrated and down on ourselves. There is great news! You can change these limiting beliefs and change the printout of your life!